Taylor Ewert followed up her RW national title with an All-American showing in the 2 Mile. 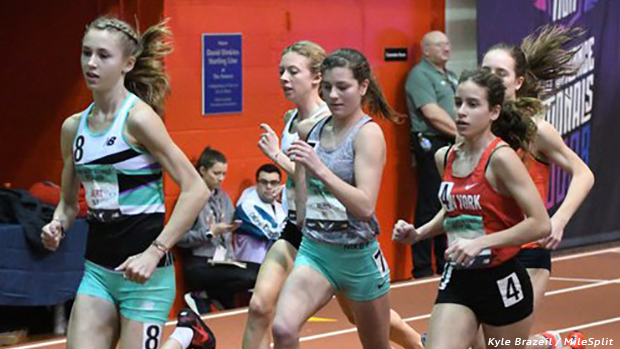 The 2019 indoor season has officially concluded following the action from day 3 at New Balance Nationals, but before we turn our focus to the upcoming outdoor campaign a collection of Ohio's top athletes made sure to sneak in some big performances in New York City. Taylor Ewert, who defended her 1 Mile Race Walk title earlier in the meet, earned All-America honors due to her 10:19.14 fourth place effort in the Championship 2 Mile contest. Ewert's mark stands as a new PR at the distance, as well as a US #6. To say that the Buckeye State was well-represented in the men's Championship Weight Throw event would be an understatement. Four Ohioans cracked the top 8 in the standings, led by Van Buren junior Tyler Arbaugh who claimed runner-up honors with his 73-7.75 toss. 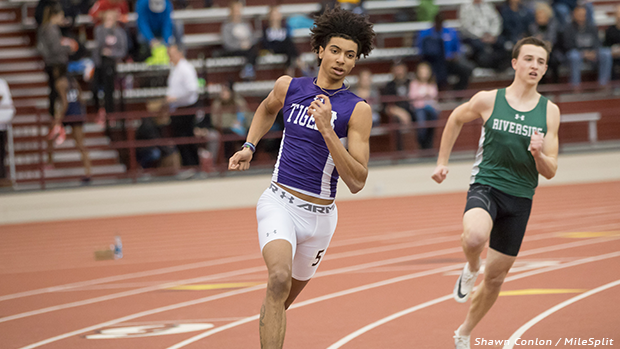 Evan Matthews mixed it up with the country's best quarter milers, as he made it into the finals and placed seventh with his 48.58 PR effort. Division 1 State Champion, Emma Kowalski wrapped up her season in impressive fashion by taking ninth place in the weight throw competition. 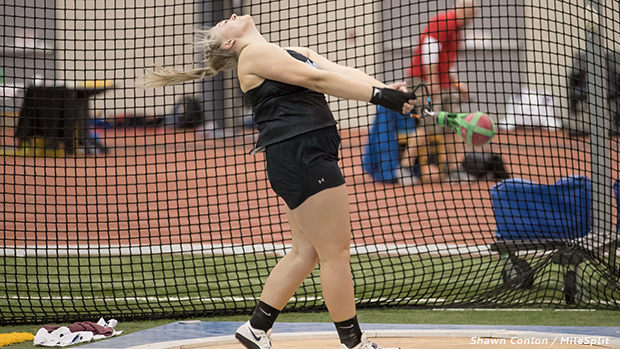 The junior from Hilliard Darby secured her placement with a throw of 16.05m. 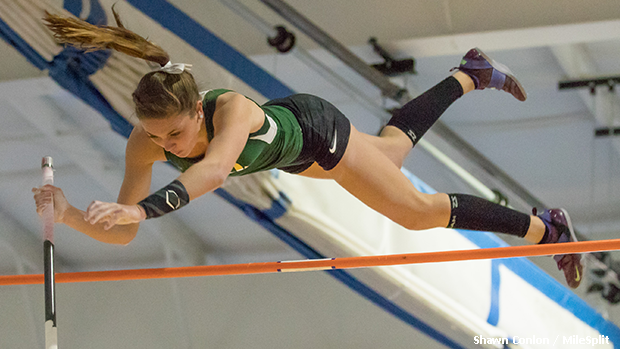 Greenville junior, Riley Hunt continued her impressive run by securing twelfth place in the PV event with her vault of 3.82m. The weekend prior at D1 State's, Hunt took the win with her 13-1 performance.